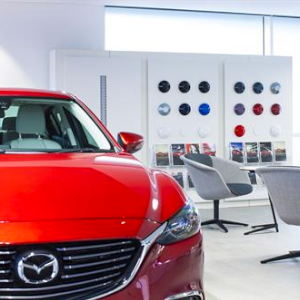 Mazda dealers across the UK have increased their average profitability by 38 per cent year-on-year, while 2017 also saw the network achieve a Mazda return on sales percentage (ROS) of 1.4 per cent – compared to 1.0 per cent in 2016. “I’m delighted at the performance of our dealer network and their success in 2017, particularly when you consider this business achievement comes at a time of reducing retail sales across the whole UK car market and wavering consumer confidence in the face of challenges like Brexit and potential economic uncertainty,” commented Peter Allibon, Sales Director Mazda Motors UK. In addition to 2017 seeing strong dealer profitability across the network, it’s also worth noting that the top 25 per cent of Mazda dealers in the UK achieved a 3.33 per cent ROS, while the summer 2017 National Franchise Dealer Association (NFDA) survey ranked Mazda in fifth place out of 29 manufacturers.